From now on, we will provide you with our various original products under the brand Hokkaido Hisamoto from the new processing center. Generally, the red fish is called “Kinki” or “Kichiji”. 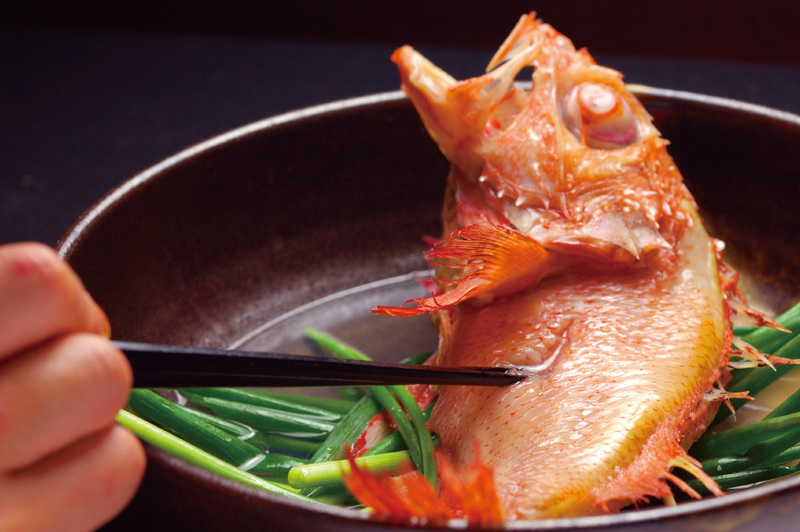 In Hokkaido, it is called “Menme” which is an expensive high-fat fish caught during Fall and Winter seasons, and is also a representative of Hokkaido. Fish scales and internal organs are carefully removed by hand work, washed with “Nitrogen water” while maintaining the freshness becoming a popular vacuum-refrigerated product. Soup boiled with Menme becomes a supreme broth with high Umami taste, and is the most suitable for boiled tofu, noodle and other different types of soups. This product comes with “Rausu Kombu” used to make a broth and “Rausu Salt” produced from Shiretoko sea’s deepwater, together in the package. “Izakaya Set” which provides rich taste of in-season dried fish, become a very successful commercial product when it was introduced in a television shopping program, resulting in 2000 sets sold. 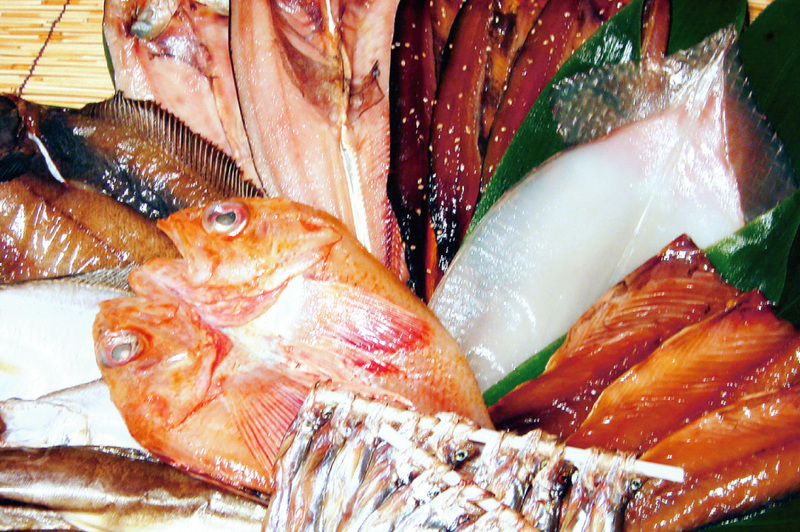 Assorted seafood comprise of various fishes such as Hokke, Soha Karei, Menme (Kinki), Sanma dried with vinegar, Komai and Shishamo according to the season. Washing with “Nitrogen water” and manufacturing using “Nitrogen hot air”, it is possible to draw fish’s original deliciousness and makes possible the adjustment of pickling and drying time in accordance with characteristics of fish. This is our careful selection process implementation.